Read below for house news, upcoming assessments, and highlights! 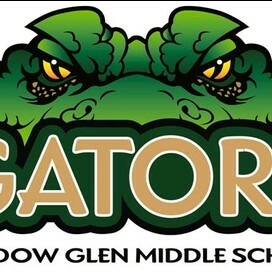 Final Word will be Friday, May 29th at MGMS. Students will begin signing up for times to present their Final Word this week. There will be two presentation times for Final Word. The first session will be from 11-12pm. The second session will begin at 1pm and end at 2pm. This is a very special presentation for our 8th graders. Parents, you will not want to miss it! Please discuss with your child the best times for you and your family to attend. 8th Grade Awards and Celebration Night will be Tuesday, June 2nd at 6:30 at River Bluff High School. If you received an email from me, the yearbook staff needs a picture of your child in the 6th grade. Many of our students were not here in 6th grade and we need a picture for a special presentation on our 8th grade celebration night. Please email me those pictures at aholmes@lexington1.net, as soon as possible. Donate a Toothbrush was our winning proposal for Crew's Power of One initiative. We are collecting toothbrushes through Crew to donate to Donate a Toothbrush! The purpose of our Power of One donation drive is to help students see that if we all give just a little, we can have a huge impact. If every student donates ONE toothbrush, we will have close to 1,000 to donate to an organization that is making a global impact. Send in one (or more) toothbrush/es with your gator to support our cause. Students can turn toothbrushes into their Crew leader. Crews will earn 1 point for every toothbrush which will impact their score at Crew Cup in just a few weeks! Please help your students perform their best by making sure they are getting plenty of rest and having a good breakfast each day before testing. Pre-Algebra: City Design Project will be worked on in class this week. It will be due next Tuesday, May 12th.